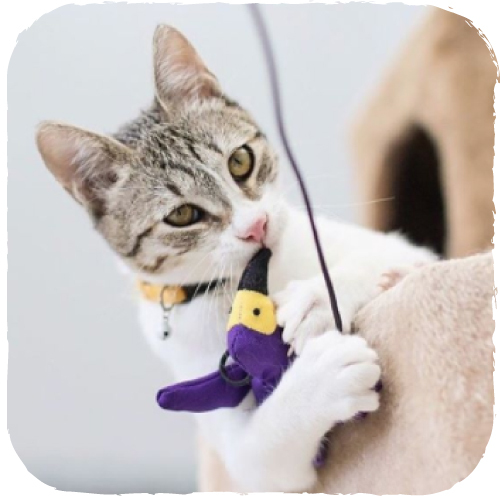 Beco Eco Catnip Wand Toy is perfect at keeping your cat alert and amused. 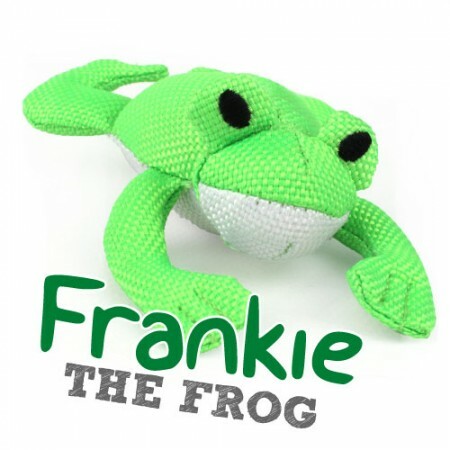 Made from recycled fabrics. 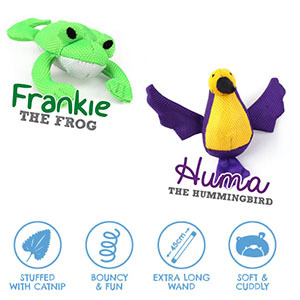 Beco Wand toys are the perfect friend and interactive toy for you and your cat to play with. 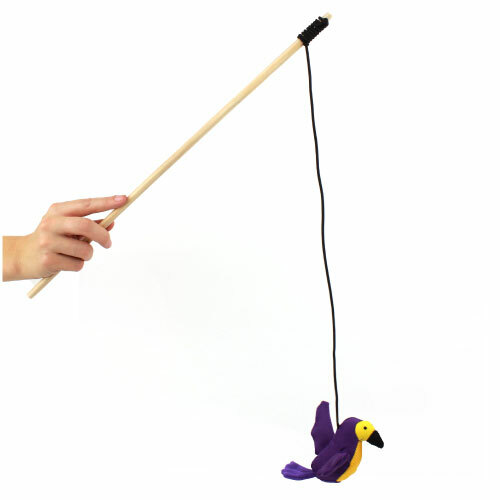 The elasticated bungee and extra long wand ensure the toy will be hovering all over the place. Encouraging your cat’s natural hunting instinct, and providing hours of entertainment. 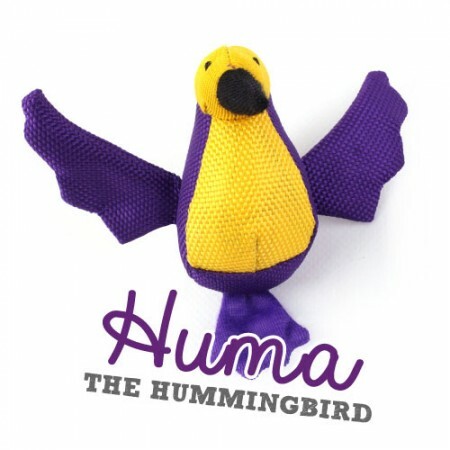 Like our other soft Beco Family toys, our wand toys are named after members of the team! What an honour it is to have your character batted about by cats paws as they stay alert, amused and exercised. The fabric has been perfected to a durable material. Made from recycled bottles to withstand the keenest cats. Yet it is still soft enough to be fun to play with. The catnip is a natural plant herm, which should make sure the toy is extra amusing and irresistible. Treat your best friend today, pick up at West Coast Pet Care or posted to your address.